← Welcome to Hunter Tracker! 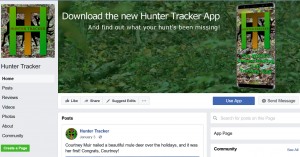 Hunter Tracker has a Facebook page. 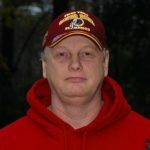 To get to it, click on the Facebook icon at the bottom of the page and choose Visit Us, or just click here.